You must know someone deserving of one, two, or even three awesome horse books. I might even be convinced to offer a three-fer. One never knows. All three of my books are available through iUniverse, Amazon, Barnes and Noble, and me (if you're local--no point throwing shipping costs to the wind). It's a Horse's Life! 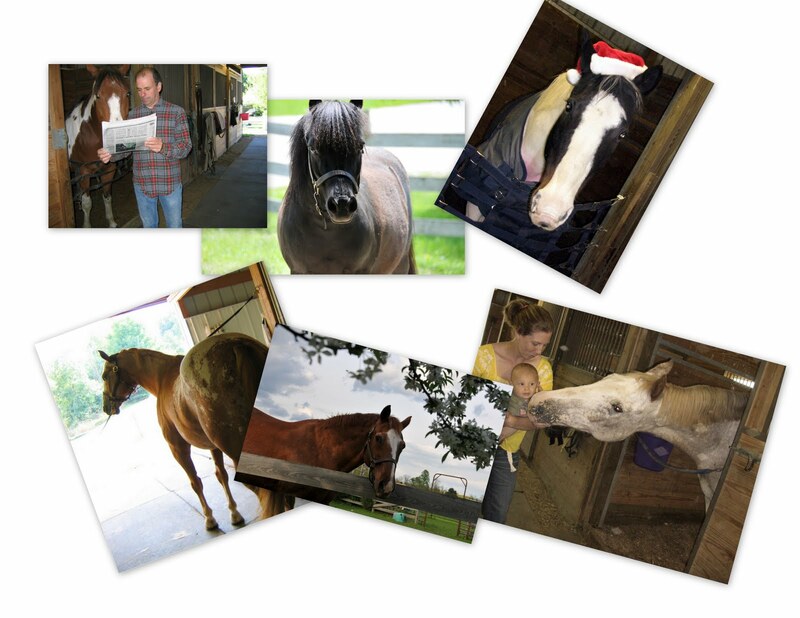 traces a year in the horse world with instructions on how (or how not) to turn a backyard barn into a boarding farm. 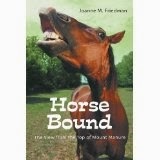 Horses in the Yard is a treatise on what it is to own horses and deal with their quirks and sublime craziness. Horses Happen! 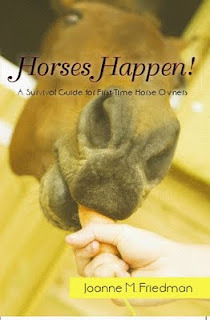 is a how-to and survival guide for the poor soul thinking about buying their first horse and for the more experienced horse person who just wants a trip down Bad-Memory Lane. Buy them! You'll like them, I promise. So much for the Shameless Plug. On to the legacy of Eight Belles. I must credit this photo as deserved to the site Eight Belles Legacy where you will find ample photos of this lovely girl and other racehorses upon whose sadness stands a wonderful effort to bring about some changes in the racing industry. 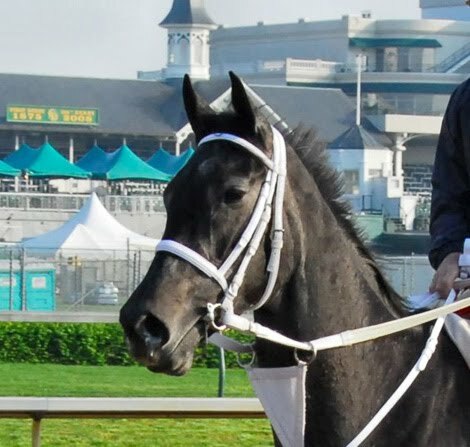 If there's anything sadder than the agony of a fatally injured horse in any discipline, it's the willingness of critics to jump on every effort to improve the contributing situation. The initiation of the NTRA SIA, an independent commission set up to ask the important questions and take feedback from the public, should have been welcomed by all horse lovers. Unfortunately, there will always be naysayers in the muddle. In this case they are nay-saying that this is a hired-gun committee under the thumb of the racing industry and that no change will come from its efforts. This is almost as rational as the Palin Death Squads and my suspicion that the aliens took my excellent horse and replacing him with a weird doppleganger resistant to my perfect training methods. But if you are a fan (or a foe) of racing and would like to have your say, email your comments to NTRAindependentmonitor@akingump.com. They take all comers. Tell them how you feel about training methods, breeding, track footing, feeding, how cute those jockeys' silks are...anything that you feel needs to be addressed. Then do your homework and stay on top of what's going on in racing. If you're dissatisfied with the speed or efficacy of the changes, say so. What you can't do is loiter around the networking sites and the horse forums and grab just any post by any stranger and take it as gospel to be passed on relentlessly. Change in any area of life requires commitment and reasonable expectations. Join the effort or leave it alone. Undermining it isn't an option for a Thinking Horseman. First, go buy my book. Then I'll be happy to answer the question. Okay. Thanks. I'm counting on getting rich and famous, so keep ordering. The answer to the question is "Never!" Simplistic? Not really. The subject of "horseness" was brought home to me recently when I followed up with action the words of my favorite horse psychic, Ginny Palmieri. It all seemed so straightforward. Zip has pain in his withers, so I put a wider gullet in the saddle and added a gel pad. Bingo! Dakota feels he should be recognized for not bucking off the beginners I put on his back, but he likes teaching people about horses. Gave him some strokes and an apple, and gave the barn slave a lesson. Yee-HAH! Leo wants more attention. Easiest of all since he's the horse most likely to have his nose in my armpit wherever I travel. Zap! 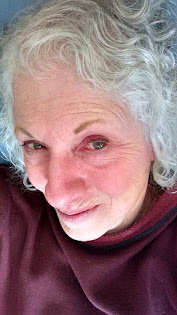 On down the list of complaints and requests I went, fixing and adjusting wherever I could, fully expecting in the end that there would be considerable change in the animals' attitudes and behaviors. In truth, there has been, but all within the "Horseness" parameters. This is where beginners and stubborn experienced horse people come a-cropper of the reality of Horse Life. When a human loved one says, "Stop poking me in the eye and I'll gladly make you dinner on Friday night," it's a safe bet we can interpret that in clearly literal terms. I pocket my finger; Cliff gets out the fry pan. In the horse world, however, it's not so clear-cut. Horses have other things going on in their lives besides us. Horses remember things like pain, while we often forget where we parked the car. Horses know that squirrels don't have their best interests at heart. And horses don't just shrug and let bygones be bygones. It's a process. Correction of situations requires a lengthy series of repetitions, small improvements, incremental adjustments, and, in time, possible success. No matter how hard we try, they will never really speak Human, and we can only approximate Horse. So that's my warning for today. Finding out that there's a problem is great. Acknowledging that you are the cause is the next step. Making adjustments and apologies as needed is required. Then you wait...patiently...for what might be a very, very long time. Frustration must not cause rushiness. Anger may not creep into the equation. We must be one with the Cosmos and let the horse work through whatever he's working through and be delighted when the change finally comes. We must Be the Horse, who waits for years for us to notice that his stall floor lists to the north so he's got one shoulder that's higher than the other. I'm human enough to deal with that. Are you? Well, it's finally happened! Be sure to get your copies today. There's no telling when the world might actually come to a end. You wouldn't want to miss this opportunity! Click on the book cover for a quick trip to the publisher's place, or wait a little and visit Amazon.com or Barnes&Noble.com if you prefer. Order all three of my books at once at Amazon and you'll qualify for free "Super Saver" shipping! Yee-HAH! It's available in paperback for $13.95, e-book (from the publisher) at $6.00, and Kindle version at Amazon for $7.99. Pick one. Or two. They're small. It's a seriously good book for novice owners or for those of us more experienced horsey types who like to laugh at novice horse owners. It'll bring back memories. This has been a big week for my horses. Not only have they come face-to-face with impending winter lay-off time (and seem to be doing a snow dance as I type), but they also had their brains picked by my favorite telepath, animal communicator Ginny Palmieri. I'm not going to share their secrets here, but I will say that I now know I own a horse who, were he human, would have "one hand down his pants and the other would be holding a beer". I suspected as much when I saw the cigar butts and the Racing Form outside his stall door. I also own a horse who is "sooooo interesting!" That's generally not what a horse owner wants to hear. Words like "simple", "uncomplicated", "desperately craving your approval"...those are the good words. But on the whole, the herd seems to be doing fine, which makes me happy and validates the huge carrot investment I made last month. If you own an animal, you already know that they have ways of reading your mind. My cat Tuft knows precisely the moment I decide I'm going to settle in in front of the fire with a book. He has to go out then, and will brook no discussion. The cockatoo, Angel, knows when I'm on the phone with someone I haven't spoken to in a while and who might think it worthwhile to call the authorities to find out why I am torturing birds in my home. But these warm little bodies house brains that are constantly filtering information to and from us. We just tend not to listen very well. That's where nice folks like Ginny come in. I'm not saying you need to rush right out and call a psychic to find out why Fluffy ate the Tiffany pendant your new beau just gave you. I'm not saying you really want to know the answer to "how does Lucifer feel about the new kitty brother I gave him?" I'm just saying, don't sell the little buggers short. They'll tell you everything if you just stop talking for a minute and give them a chance. There are a few books available that will give you instructions on communicating with the animals yourself. I've tried that. Apparently I don't speak any foreign languages. So I will continue to rely on periodic check-ins with Ginny to make sure the herd and I are all on the same side of the barn, so to speak. And yes, Pokey, you are a very good girl!